Express Lawn Mowing has changed their business name to PROCUT Lawns. They offer mowing, gardening and landscaping services. These services are available for domestic and commercial cu..
We have noticed that several Radiologists have shown interest in the Mr Biller system. It is the easy and free online accounting and invoicing tool that can be used for all your billin..
Mr Biller has recently received a call with someone claiming they are from the ATO the number they are calling from is +61 2610 08394. A few people have gone online to complain about th..
Is Gold Coast Friday Flyer Closed? We have previously been using Friday Flyers for about 6 months. Initially it was smooth going and we had no complaints, however the account department become demanding and rude as well..
Mr Biller is and easy to use online invoicing system that can be used by Freelance Photgraphers. It has a cloud based storage and can be accessed from anywhere in the world that has i..
Amazing Education and Training specialise in providing early childhood education courses, Their training includes a practica..
We have also noticed that a few small businesses in Nepal have now started using Mr Biller. Mr Biller is a great invoicing.. Here at Mr Biller we have found that many small businesses in Sri Lanka are using Mr Biller as their invoicing tool. Mr Bill..
One of our team members recently visited Expertise Clothing Alterations and were very pleased with their services. They spec.. Here at MrBiller we like to make regular news updates about various subjects. Sign up now to receive our news updates. Mr Biller is and easy to use online invoicing system that can be used by any trade including concreters. With a cloud based storage that can be accessed from anywhere in the .. The Mr Biller Team received a flyer from the V3 Care Carwash in Ernakulam, India. They offer a 20minute instant waterless carwash & tire polishing using German technology & h..
Mr Biller is a free online invoicing system for Plumbers and any other trade or business. It is an easy to use system that can be used for invoicing and accounting. By havin..
We have also noticed that a few small businesses in Nepal have now started using Mr Biller. Mr Biller is a great invoicing tool for all Small Businesses and can suit anyone..
Mr Biller is and easy to use online invoicing system that can be used by Freelance Photgraphers. It has a cloud based storage and can be accessed from anywhere in the world ..
Express Lawn Mowing has changed their business name to PROCUT Lawns. They offer mowing, gardening and landscaping services. These services are available for domestic and com.. The Mr Biller system has new and exciting updates coming very soon! We are excited to announce a few of them including - - A New Add Client interface, with a simpler design..
Mr Biller system is a free and easy online accounting and invoicing tool that can be used for all your billing purposes. As a carpet repairer you can personalize your bills..
Big Thanks to All Our Users! 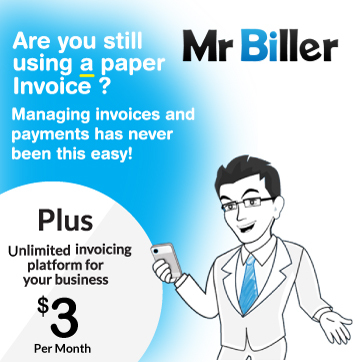 Mr Biller now has over 600 active users creating invoices and quotes everyday with our easy to use software which is a great mile stone for a company that uses absolutely no a..
Handymen are using Mr Biller because it is an easy online invoicing system that can be used for invoicing and accounting. By having a cloud based storage, an easy to use web.. The team from Cleaning Mate were happy to receive the Little Aussie Directory in the mail today. 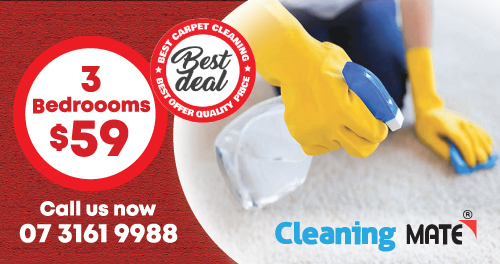 This directory advertises local business in the Sherwood, Graceville, Chelmer ..
As a small business owner, you have or will most likely have to deal with difficult clients for one reason or another have refused to pay invoices. It is an all too familiar..